This perfectly maintained 1.5 story home has 3BR, 2 full baths and over 1800 finished sq ft. Take a look at the large walk-in closets and the very open kitchen w/bar. The exterior is professionally landscaped and sports a fenced back yard. 2 car garage w/ attic storage. Unfinished area upstairs was converted into finished space for a living space or more convenient storage. Located near schools, shopping center, restaurants and parks. 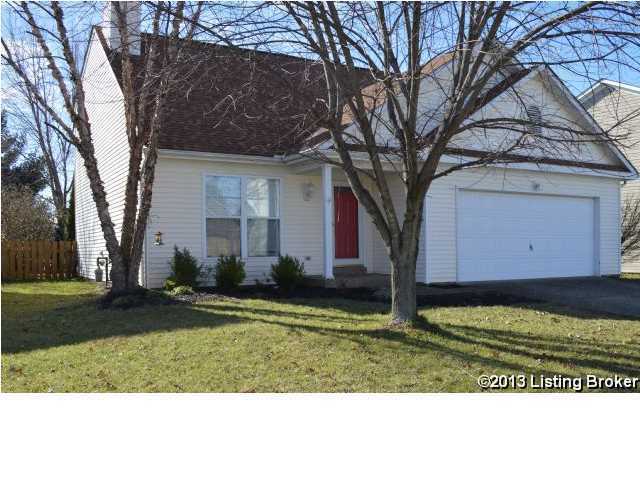 Direction: Take Brownsboro/Hwy 22 east of 265, R on Murphy Ln, L on Halifax to Oak Pointe Dr.
4503 Oak Pointe Dr, Louisville KY 40245 is a Home, with 3 bedrooms which is recently sold, it has 1,968 sqft, < 1/4 ACRE sized lot, and 2 Car Garage,Attached,Driveway,Entry Front parking. A comparable Other, has bedrooms and 0 baths, it was built in and is located at and for sale by its owner at $ 0. This home is located in the city of , in zip code , this County Other, it is in the Subdivision, and Woodmont are nearby neighborhoods.